We’ve been fans of Manulele Distillers’ Kō Hana agricole rum ever since barman Kyle Reutner at The Pig & The Lady introduced us to it last year. 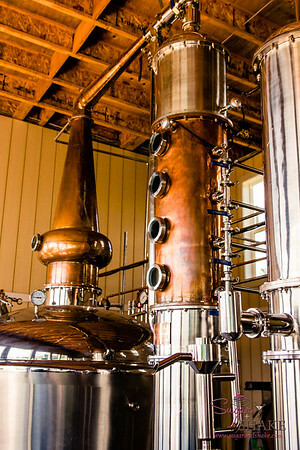 At the time, P&L was the only place serving it—a perk of Kyle’s apprenticeship at the distillery. Now, it’s popping up in several local bars, though not yet available for retail purchase except from the distillery itself. Here’s your ten-second lesson on rum vs. agricole rum: Most rum is made by fermenting molasses, which is a byproduct of producing commercial sugar. 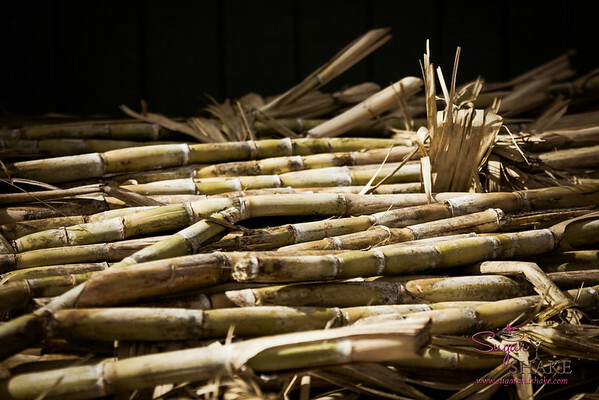 Agricole rum, (or rhum agricole) on the other hand, is made from fresh-pressed cane juice. 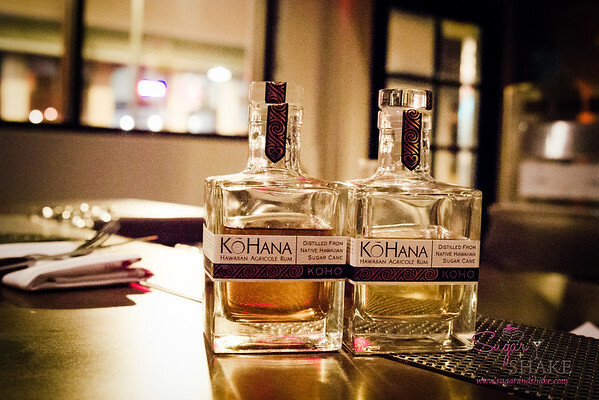 Two main things set Kō Hana apart from other rums. First, the cane used to make the rum are all native heritage varietals. The plants are direct descendents (verified through DNA testing) of the original “canoe plants” brought by the first Polynesian settlers centuries upon centuries ago. Manulele has become the largest conservator of Hawaiian cane varieties with more than 90 types. Why is this a big deal? Well, because outside of places like the National Tropical Botanical Garden and the like, native cane is scarce, pushed out by the more economically useful hybrid varieties the sugar companies planted. The hybrids are more resistant to weather conditions and pests, plus they grow nice and straight and tall—ideal for using machines for harvest. Manulele hand-harvests all their cane; even if they wanted to use machines, they couldn’t, it’s just not feasible with the way the native cane grows. The scrappy heritage cane—kind of like heirloom tomatoes, when you think about it—adds a certain character of taste that the hybrid cane, optimized to produce sugar (so who cares about the quality of the molasses byproduct? ), lacks. It doesn’t matter when it comes to the sugar you’re dumping into your cake batter, but for rum, intriguing flavor notes are a big plus. 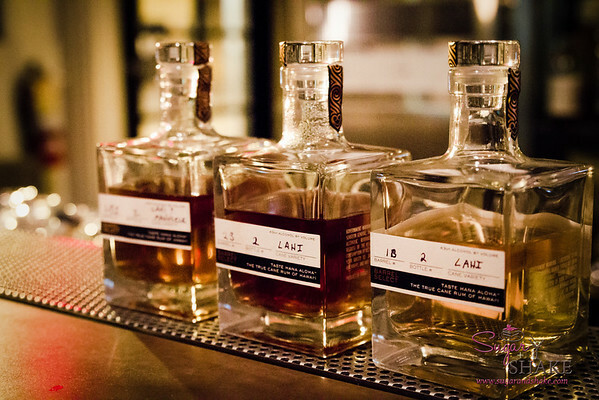 The second thing that differentiates Kō Hana from other rums on the market is the use of single varietals. 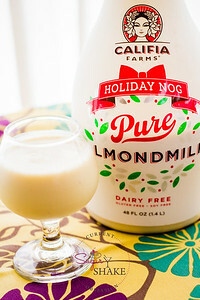 This is similar to wine or single-origin chocolates or coffees, where makers emphasize the qualities of a particular location and plant varietal. 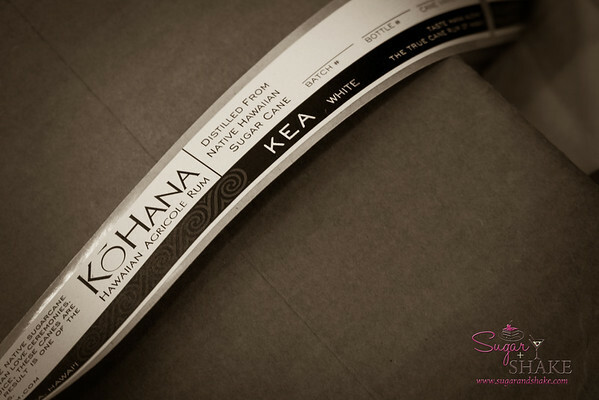 Each bottle of Kō Hana is labeled with the batch number, bottle number and the type of cane it was made from. Manulele harvests one type each month and processes it. 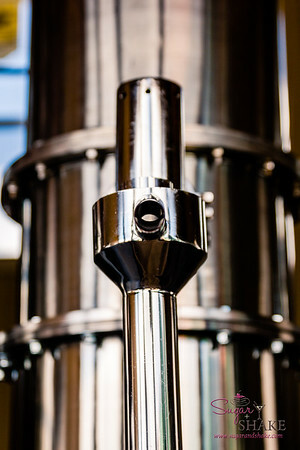 Some ends up blended together with the other varietals harvested in the year, but most are bottled as single expressions. 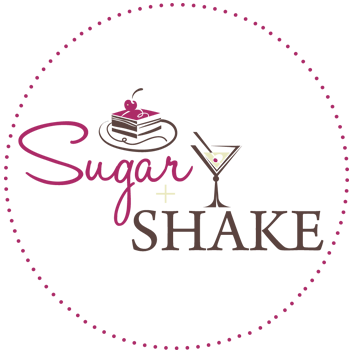 So far, Manulele has worked their way through three of the varietals of the dozens on hand at their farm: Lahi, Manulele and Mahai‘ula. It’s not quick or easy going; they have to figure out what works for each type of cane, and as mentioned, they hand-harvest. 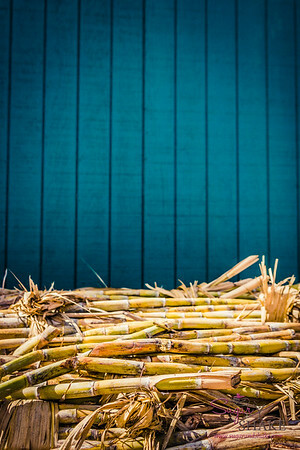 Co-owner Robert Dawson told us that they bring in a couple tons of cane for a batch—that certainly sounds like a staggering amount, but although cane is essentially giant, woody grass, it’s really heavy. 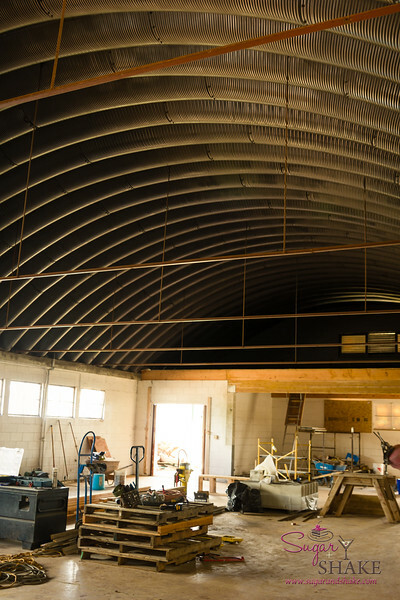 Distillery manager Noah Brown, who hails from Kentucky where he worked at a bourbon distillery, took us on a quick tour of the under-construction tasting room, which will also house a general store, the original purpose of the building some time ago. This space is going to be amazing when it’s complete. 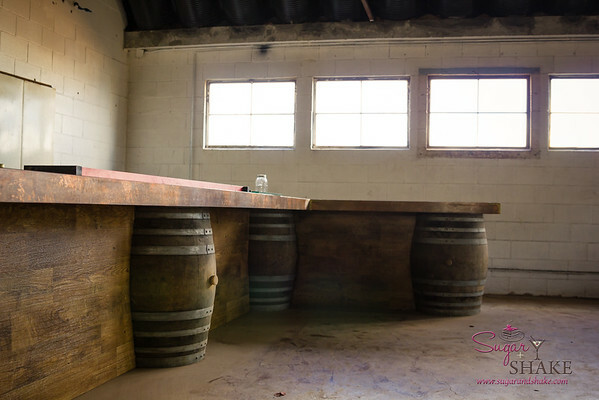 Cement floor, copper bar top, wooden barrel accents in the bar. Robert explained later that he would like to see Manulele become a center for the community where locally produced goods can be sold. 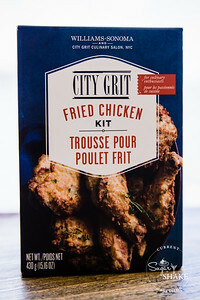 To this end, there will eventually be a commercial kitchen where area farmers can process value-added products and offer them for sale in the on-site store. 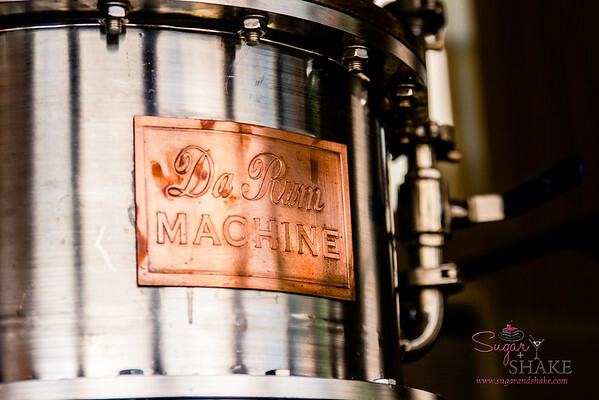 He’s a big supporter of local; even the yeast used to ferment the rum is local! 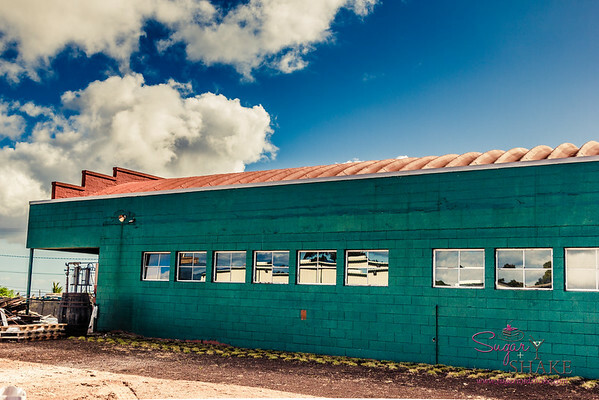 There is currently no official projected date for the tasting room opening, but judging by the photos on their Facebook Page, it looks like they are getting closer and closer. They have certainly made a lot of progress in the almost-three months since we visited. 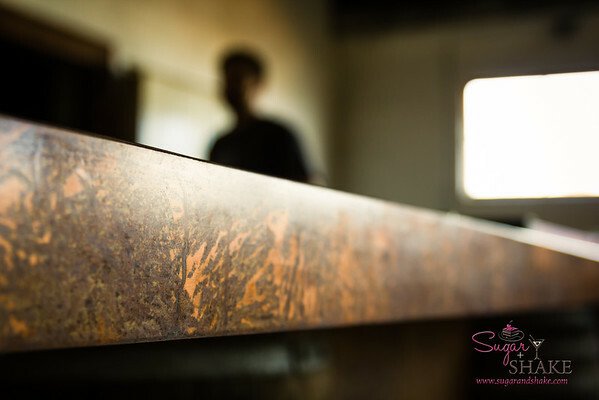 After our walk around in the tasting room, Noah showed us the stillroom. (This is where Robert caught up with us; he’d been working on paperwork when we arrived. Apparently if you want to be involved in the liquor business, you need to be prepared to love doing paperwork.) 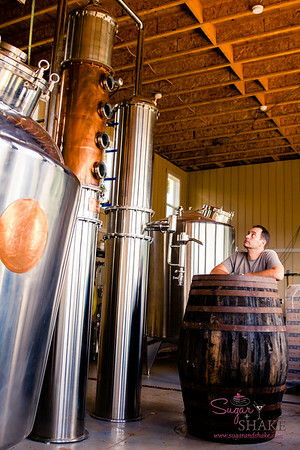 That’s Robert to the right, leaning on a sherry cask next to the still. Gives you a real sense of how big the apparatus is. It was not, however, running when we visited. Manulele was taking a break from production in the between-holidays period. I was a little bummed, but I’m pretty sure we’ll go to visit again to check out the tasting room when it opens. I’m curious to see it in action, although we were told it’s loud and smelly. Kō Hana has gorgeous packaging with heavy, square bottles labeled in rich ivory and charcoal with metallic accent printing. There are three subtly different labels: KEA (“white” in Hawaiian, silver accented label; obviously, this is their white rum), KOHO (“select,” copper accented label; barrel select options, aged in various types of barrels; we saw bourbon casks, among others, on our visit) and KOA (“brave,” though many translate it as “strong,” too, red accented label; very limited release, cask-strength bottling). The KEA tends to run around 80 proof, the KOHO a little more than that, and the KOA is much stronger at 125 proof or more. Although it is a bigger challenge to work with agricole rum in cocktails because of the strong and kind of odd flavor profile, I’m looking forward to playing with the KEA because it reminds me so much of food. I don’t think Shake’s going to let me monkey about with his KOHO, though. Have you tried Kō Hana yet? What do you think?